Don Knotts joined Andy Griffith in the series Matlock, nearly three decades after they appeared together so successfully in The Andy Griffith Show. John Ritter was married twice. The first time was to actress Nancy Morgan, with whom he had three children. The second was to actress Amy Yasbeck, with whom he had one child, a daughter. He and Yasbeck were still happily married upon his death. Three’s Company debuted midseason in 1977 and was not given much hope of success; in the 60’s and 70’s airing midseason was the kiss of death for most programs. 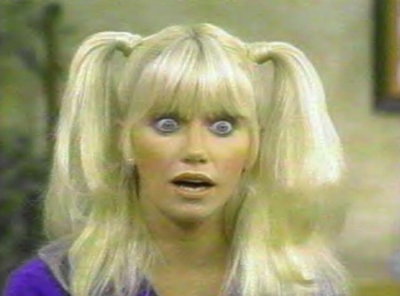 Three’s Company shocked everyone, breaking records at the time as the highest-rated midseason show to be broadcast on network television. Suzanne Somers has published a number of books, including a series of self-help books, two autobiographies, a book of poetry and four diet books. Audra Lindley quit school at the age of just fifteen. The only cast member to appear in every single episode of Three’s Company was John Ritter. NBC aired a two-hour docudrama in May 2003 called Behind the Camera: The Unauthorized Story of Three’s Company. Other actors and actresses portrayed the characters and it covered the series from beginning to end, including the drama – onscreen and off. Although neither appeared in it, both John Ritter and Suzanne Somers had some input, and Joyce DeWitt co-produced and narrated the film. Many years after Three’s Company ended, Don Knotts appeared with John Ritter for the last time in Ritter’s series 8 Simple Rules for Dating My Teenage Daughter. Knotts was the last actor from Three’s Company to work with Ritter before his death. The two had remained in contact for years and Knotts received a call about his friend’s death while he was on stage in Kansas City. He attended the funeral four days later. Joyce DeWitt refused to work bare-legged when shooting the series and always wore tights or pantyhose. This attracted the attention of hosiery manufacturers, and led to her becoming the spokeswoman during the late 1970’s for pantyhose company “L’eggs”.